Before I start rambling and totally go off the theme here, I’ll stop right now and get back to these October thoughts in one of my next posts. Right now, I want to proudly present you the 2nd part of my collaboration with Aarikka and announce a 2nd giveaway. This time, you have a chance to win another beautiful, unique and of great quality candleholder LINNA . The way how you can enter this competition and have a chance to win the candleholder is by leaving a comment on this post and by letting me know how/ where would you place this candleholder in your home if you’d win one? Aarikka’s past is very long and rich, present is very bright and inspiring, but future… It have never looked more promising than it does for the Spring/Summer. Here’re some of the products which will def. 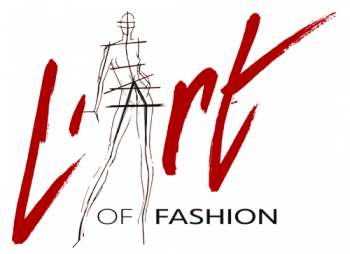 be a highly sought after pieces. These buttons are the original buttons from the 50´s when Aarikka company started. Mrs Kaija Aarikka was studying to be a textile designer and for her final exam work, she designed and made a wooden dress in which she carved 5 wooden buttons. Those buttons became so popular that she decided to start a business designing and making wooden buttons. In the fifties it was very popular to use such exotic woods as jacaranda, eben holz, teak, mahogany and so on in interior design. That is the reason why Kaija used those kind of brown woods in her buttons. 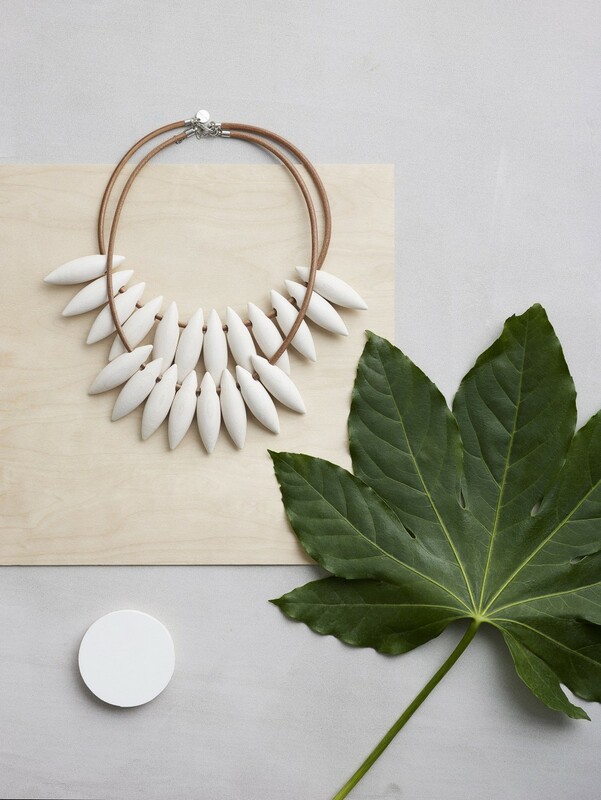 Little by little she started to design also wooden jewelry and gift articles to the Aarikka collection. For spring 2016 collection Mrs. Paulina Aarikka have designed the Nappikello, which is going to be a part of limited edition. 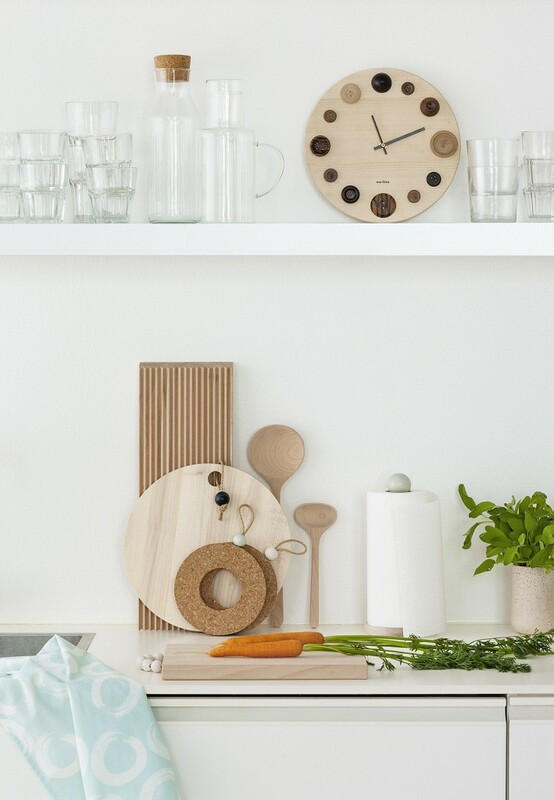 They are designed by Anu Penttinen. 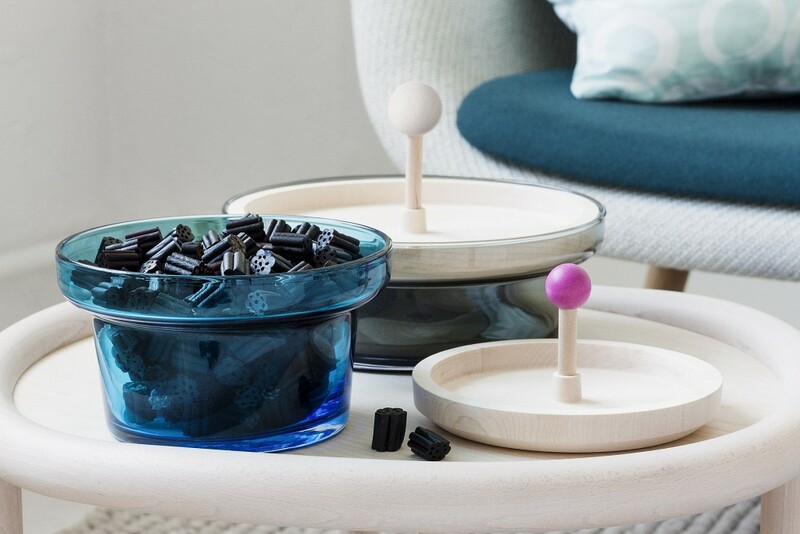 While designing these glass bowls, Anu was led by an idea that you can use the glass bowls and the lid either separately or together for serving the food, salads or for instance in the entrance room for keys and other small items. These are very typical Aarikka shapes, round forms and beads. 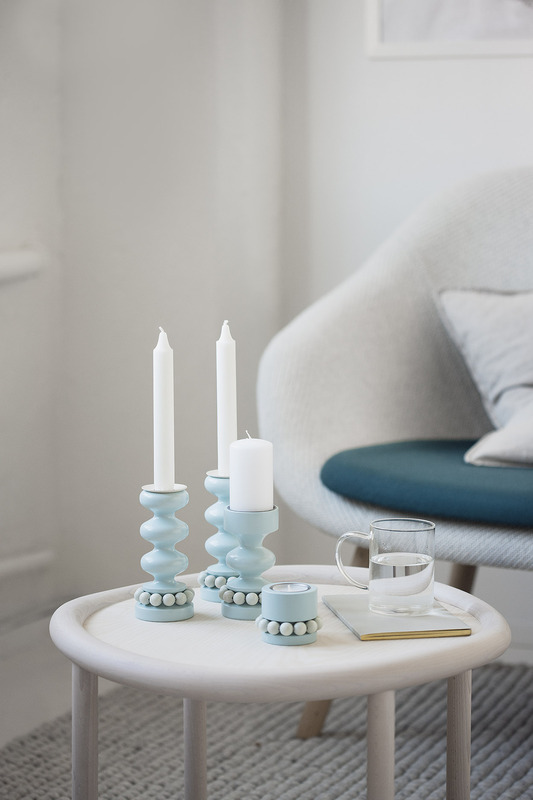 Candleholders are called Linna, Prinsessa and Prinssi. They are all designed by Mrs. Pauliina Arrikka. 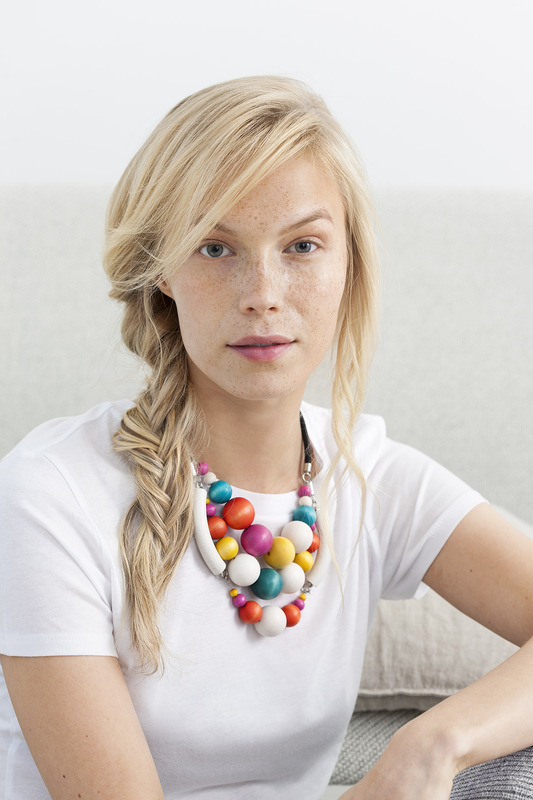 This is a changing repertoire of bold statement jewelry. Each piece is handmade and the collection is limited edition only. In this year´s collection you can see various shapes from the wild nature and the feeling from the exotic rainforests. Sen laittaisin makuuhuoneen valkoisen lipaston päälle! I love very single piece you have shown of this line! I would love to win if it is open internationally. I’d put it in my living room – probably on the fireplace of the coffee table. It would be pretty near my window along with other memorabilias. I love that little button clock! So dang cute! There’s a perfect spot on the fireplace mantel! On the opposite side, I have a black Aarikka passi (sheep). The two items would be my Aarikka “bookends”. I think that my windowsill which is pretty wide would be perfect for some cute Aarikka candleholder. Thank you for the oppportunity and lovely presentation other Aarikka’s products. Great blog! Pics look amazing!! Everything is designed so well! I especially love the blue of those candle holders. I would line them up on my window sill, I love the idea of flickering candles with a dark night in the winter. Seems like it’s straight out of a movie! Would absolutely love this in our living room.. Dark autumn evenings are coming. I don’t think two days are enough for me to organise my month, gah. Anyway, Aarikka’s pieces are absolutely stunning! 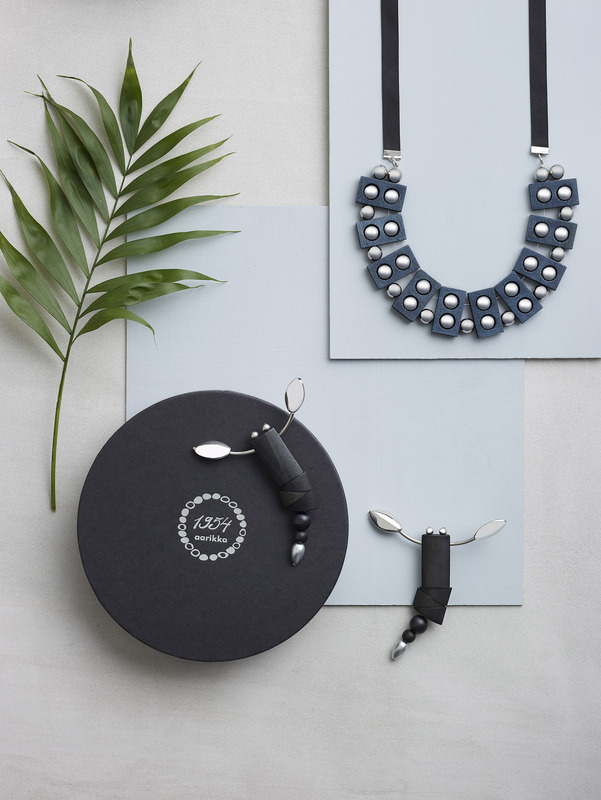 We get all kinds of statement pieces, be it jewelry or decor, these days, but the pieces from their range are insanely gorgeous; unique, homey, very innovative! What a lovely giveaway! Love these photos they’re beautiful and those candle holders are darling love! Wow! Very nice giveaway! Love that necklace very much!! i would most definitely put the candleholders on my night stand in my room. they are so lovely! I love the candle stick holders, and would I put them on my dining room table, so pretty! ove ogrlice su fantazija…a i dekor je fantastičan!